To eliminate evil sight upon your vehicles today perform the Omkaram Yogam Kshemam puja as described by Omkaram Devi Sri Guruji in Zee Telugu. Keep a lemon in a 3 road junction and drive your vehicle over it. By doing this you can eliminate the evil sight upon your vehicles. And to get the blessings of Mahalakshmi the wealth deity do the Omkaram Yogam Kshemam Puja (18-02-2015) Devisri Guruji. 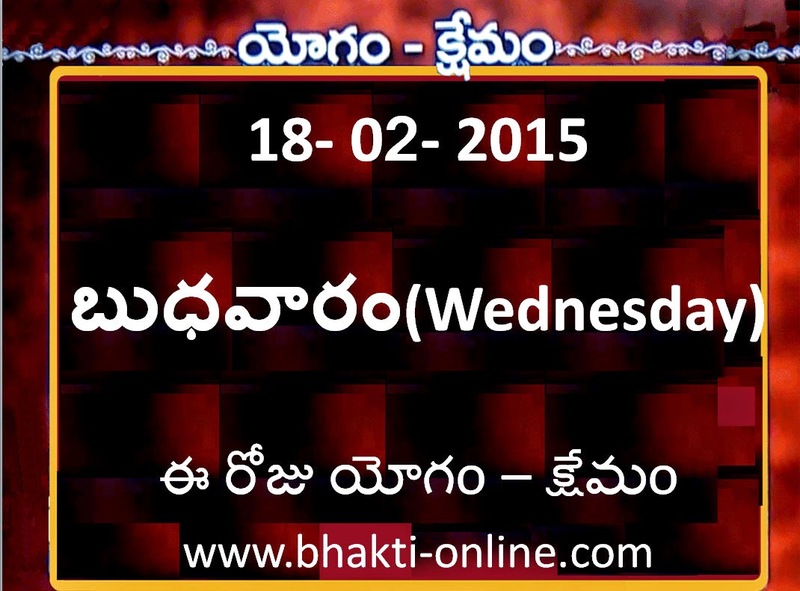 Find more information about 18thFebruary, 2015 Devi Sri Guruji Yogam Kshemam part in Omkaram Zee TV Telugu Channel in our Youtube Video. వాహనాలకు ఉండే దృష్టి దోషం పోవాలి అంటే ఈ రోజు ఏ సమయంలో అయినా ఒక నిమ్మకాయను 3 రోడ్డులు కలిసే కూడలి వద్ద మీ వాహనానికి దిష్టి తీసి, ఆ నిమ్మకాయను క్రింద పెట్టి మీ వాహనంతో మట్టించాలి. ఇలా చేస్తే మీ వాహనాలకు ఉన్న దృష్టి దోషం పోతుంది. మరియు మహాలక్ష్మి అనుగ్రహం కోసం ఈ రోజు 1 ప్లేటులో(స్టీల్ కాకుండా) 5 దిక్కులులో తమలపాకులు పెట్టి మద్యలో లక్ష్మీదేవి విగ్రహం పెట్టి నానబెట్టిన బియ్యం బెల్లం కలిపి అందులో కొంచెం తేనే కలిపి నైవేద్యంగా పెట్టి కనకధరస్తోత్రంను జపించి యధా శక్తి పూజించి హారతి ఇవ్వాలి. అనంతరం ఇంటిలో పిల్లలకి ప్రసాదం పెట్టాలి. ఇలా చేయడం వలన మహాలక్ష్మి అనుగ్రహం కలుగుతుంది. ఇదే ఈ నాటియోగo – క్షేమo. Movie Moghal Dr. D. Rama Naidu is No More ! Movie Moghal Dr. D. Rama Naidu has passed away today afternoon. He is been suffering with ill health from quite a few days. The entire film fraternity is in shock up on the great loss. Ramanaidu holds a Guinness book record for producing movies in all the Indian languages. Daggubati Ramanaidu has contributed much to the Indian cinema from the past 6 decades. He received Dada Saheb Phalke award in the year 2010 for his renowned services to the film industry. D.Ramanaidu was born in Karamchedu, a remote village in Andhra Pradesh, on 6th June 1936. Ramanaidu established Suresh productions on his son, Suresh Daggubati's name and recently it has completed 50 years in film making. His younger son Venkatesh Daggubati and grand son Rana Daggubati are two top stars on south Indian cinema. Ramanaidu was conferred with the third highest civilian award in the Republic of India, the Padma Bhushan, in recognition for his contribution to Telugu cinema. He has been a great icon for all the upcoming producers and it is a irreplaceble loss to the industry. His closest friend, the legend, Akkineni Nageshwara rao has also passed away last year and With this, it is surely a miserable end of an era. Telugu Industry mourns the death of Movie Moghal and we also pray for his soul to rest in peace. Movie Mughal D Ramanaidu (79) passed away on Wednesday (February 18th, 2015) while undergoing treatment for Prostrate Cancer. He was born in Karamchedu on June 6th, 1936. D Ramanaidu, an Icon of Telugu Cinema, produced over 150 films in 13 Indian languages and made it to the Guinness Book of World Records for being the only person in the World to produce so many feature films. Indian Government felicitated him with Dada Saheb Phalke and Padma Bhushan awards in the years 2009 and 2011 respectively for his services to the Film Industry. During his short stinct in politics, Ramanaidu served as Bapatla MP in the year 2009. He, however, decided to quit politics after defeat in 2004 General Elections. The Veteran Producer is also known for his philanthropic activities under the Ramanaidu Charitable Trust since 1991. Film Personalities across the country have been expressing their condolences to the Daggubati family. D Ramanaidu's demise is an unrepairable loss to the Film Industry. RIP Naidu Garu! Multilingual Indian film producer Daggubati Ramanaidu (D Rama Naidu) passed away in Hyderabad on Wednesday afternoon, 18 February after a long battle with cancer. In January 2014, reports emerged that Daggubati Ramanaidu was suffering from prostrate cancer and he was undergoing treatment for it at a private hospital in Hyderabad. Finally, the filmmaker succumbed to it. He was 78. He is survived by sons Suresh Babu, Venkatesh and grandson Rana. Born in Karamchedu in Andhra Pradesh on 6 June 1936, Rama Naidu took up several odd jobs such as rice mill business and bus transport business in Karamchedu before getting into film industry. His interests shifted to films when someone from his area started Shambu Films, a production agency. He got acquainted with late legendary actor Akkineni Nageshwara Rao as he started looking after on-set shoot arrangements. After becoming closer with few other actors, Rama Naidu started Suresh Productions with his childhood friends G Rajendra Prasad and Subba Rao and produced "Raamudu Bheemudu" in 1964. It was a tremendous hit at the box office. Then onwards, there was no look back for this filmmaker. Later, Rama Naidu produced and directed many movies in Telugu and he churned out several blockbuste films. He also produced and directed movies in Hindi, Tamil, Telugu, Kannada, Malayalam, Oriya, Punjabi and English. Probably, he is the only filmmaker in Indian cinema to work in so many languages. The filmmaker, who produced 150 films in 13 Indian languages, held the Guinness Book of World Records for the most films produced by an individual. In 2012, he was conferred with the Padma Bhushan in recognition for his contribution to Telugu cinema. In 2009, he received the Dada Saheb Phalke Award for Lifetime Achievement in the film industry for his outstanding contribution. Rama Naidu also served as a member of parliament for the Bapatala constituency of Guntur District in the 13th Lok Sabha from 1999–2004. 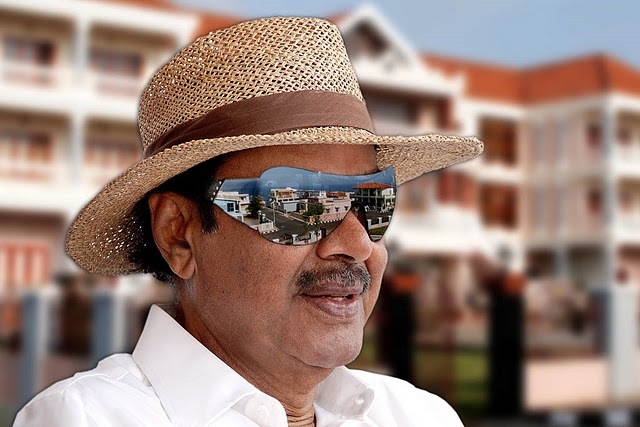 He had contributed a substantial part of his earnings to numerous philanthropic purposes including the Ramanaidu Charitable Trust that was founded in 1991. Allari Naresh: Suryudu Asthaminchadu! Black day for Whole TFI to Loose a Legendary Soul like D Rama Naidu Garu! Man of True Inspiration & Wonderful Human! Ram Pothineni: RIP #Ramanaidu Garu..Nothing I say will ever be enough to thank you for your contribution to d TFI! You shall live on for a long long time..
Hansika Motwani: Truly a legend! Dr. D.Ramanaidu garu RIP . Deepest condolence to the family. Poorvi Pictures: RIP Ramanaidu garu !! Tollywoods only producer with passion towards Film Making. Madhura Sreedhar : Legendary Producer Dr. D. Rama Naidu garu is no more. Very sad day for Telugu Cinema Lovers! Nani: A legend leaves .. Goodbye sir .. U might have left in one form but you are alive in many .. RIP RAMANAIDU GAARU . Rahul Ravindran: News just coming in about Ramanaidu sir... Terrible loss to all of us. What a legend.. Such a terrific person.. So much positivity. RIP Sir Will forever cherish having gotten the chance to work with you sir. He always had plenty of blessings & cheer to spread. Am sure you will continue to make movies up there sir. RIP Dr.Ramanaidu garu. I did the last film Ramanaidu garu produced..How I wish it had been a huge hit just for Sir. Neelima Tirumalasett: Deeply saddened to hear about RamaNaidu garu. Rest in peace! My heartfelt condolences to the family. Kousalya: Undoubtedly he is a legend. Im happy that i have few moments shared with such a sweet person. Now...today the whole TFI lost a great person.. #RIPRamanaidu garu.. Condolences to the family..
Samantha Ruth Prabhu: Another day another loss. RIP Ramanaidu garu . Strength to the family. Madhur Bhandarkar: Sad to know Dadasaheb Phalke awardee, veteran producer of South & Hindi films, D Rama Naidu is no more. Heart goes out to d family. RIP,Sir. Prakash Raj: Padma bhushana #Dr.Rama Naidu Garu... Thank you for enriching cinema.. We may never see the likes of u..Salute...RIP. Nora Fatehi: RIP Producer Daggubati Ramanaidu Garu is No more .. He has been conferred Padma Bhushan in 2005 and Dadasaheb Phalke award in 2009 for his contribution to the film world. He has also served as a member of parliament for the Bapatla constituency of Guntur District in the 13th Lok Sabha from 1999–2004. He had won from TDP, but resigned after the party lost power in 2004. His Preminchu movie won 5 Nandi Awards during the year 2001 – 2002. 1. Swamiji always says Satsang is very important. How does a person attain Satsang? I am not in a position to be a part of any Satsang now. We have to keep away from worldly matters - but I fear that my family circumstances will never let me keep away from worldly association. Swamiji, please tell me how to love Krishna inspite of all the hurdles? Will Krishna's grace carry me through it? Chanting Krishna Nama ensures that the love for the Lord deepens. When love for the Lord deepens, Satsang will come to you on its own accord. Chant and pray with faith to Krishna and this is the easiest way for Divine grace. Be like a child in the care of Krishna. He knows what to give, when to give and how to give. 2. Is'nt it this whole universe is the wonderful work of the Lord. Now-a-days we find every place on this earth infected with the negative energy. The question is: Is this because of the effect of Kali Yug or it is created by us? Kindly advise. 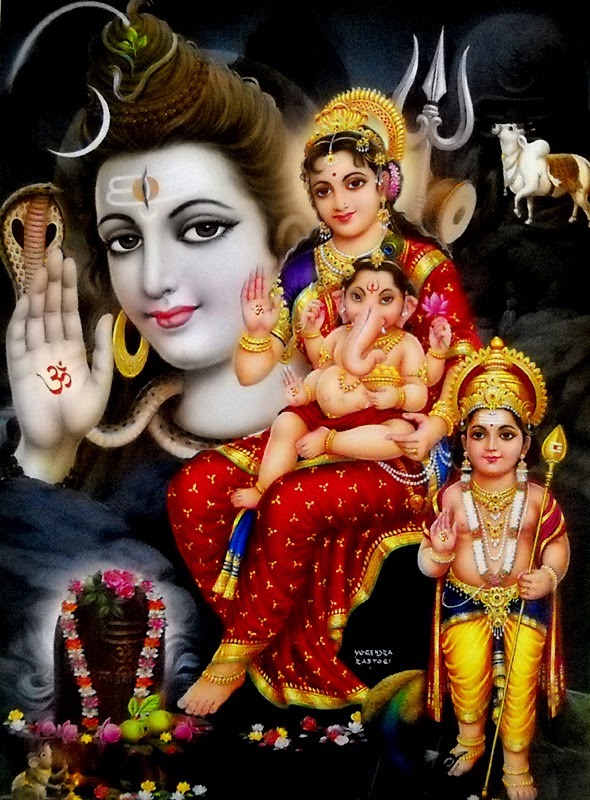 Kali yug is not something which is extraneous to us Humans. 'Kalau Kalmasha Chittanaam..' Kali lives as 'negativity' in the hearts of all. It is clearly said in our Puranas that people living in this age would have more negativity than divine positivity. Thankfully the scriptures also tell us the easy way out - Mahamantra kirtan. 3. Lord Sri Krishna, in the Gita, says that parampara of Gita was broken and hence he narrated it to Arjuna. Now with the print and electronic media, there is no chance of the 'Parampara' (lineage) to be broken as these scriptures are preserved for eternity. Does this not mean that our civilization is advancing? So, how can it be fair to say that the standards in Kali Yuga are degrading? The 'lineage' that is meant here is not the lineage of preservation by learning. It means the lineage of preservation by practice and experience. All the learning in this age is done for self-pride and show-off and is far from the true import of learning. !!! More devotion through e-satsang to follow - Be blessed !! !